It’s an enviable record. Day in day out, right around the clock, all around the country Truck Moves Australia has provided transport services for manufacturers and importers and their dealer networks for over three decades. It’s amounted to thousands of on time deliveries of medium and heavy trucks to all points of the compass. From the Top End to Perth, Far North Queensland to Melbourne, city to city, or just around a city. Truck Moves has always been there to provide the right move. "Thirty six years says we’ve been at it for quite a while. It also says with our experience, we’ve developed a special method to handle the logistics of transporting trucks in a very efficient and cost effective way", says Truck Moves owner, Matt Whitnall. "We operate a service that covers the length and breadth of Australia. Same day pick up for a delivery across the street, or across the country. Whether it’s a truck manufacturer, fleet operator or body builder. Everybody experiences the same service." Matt adds. The beauty of Truck Moves is that all the hours of organization and stress that comes with moving trucks, is all taken care of with a simple booking on line. "By the time you add up all the costs to organize a driver, insurance, flights, transport, travel costs, accommodation, super, payroll taxes and so on, you could have quoted, sold or even built a truck", Matt says. 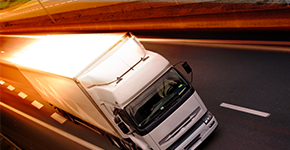 There’s no question experience counts in the trucking business. With Truck Moves, there’s certainly plenty of that. Thirty sixty years of experience that a lot of businesses know they can call on, any time, any day of the year. 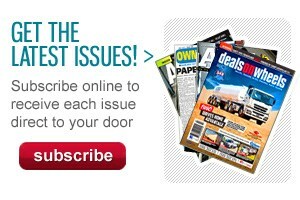 For more information, come and see the Truck Moves Team at the Perth Truck & Trailer Show from July 26-28. 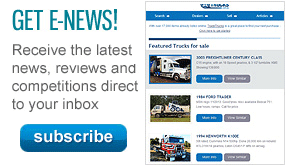 Click HERE to see Truck Moves delivering trucks for the setup of recent truck shows.